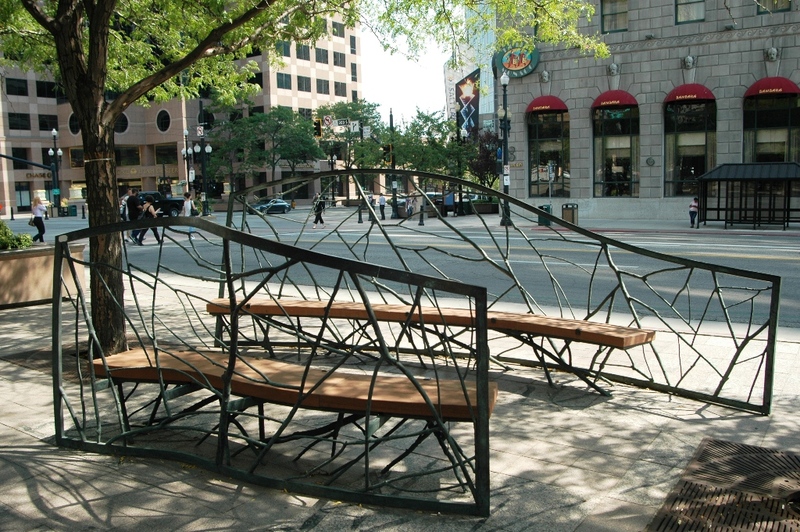 This project was completed in partnership with the Redevelopment Agency of Salt Lake City for the downtown business district. 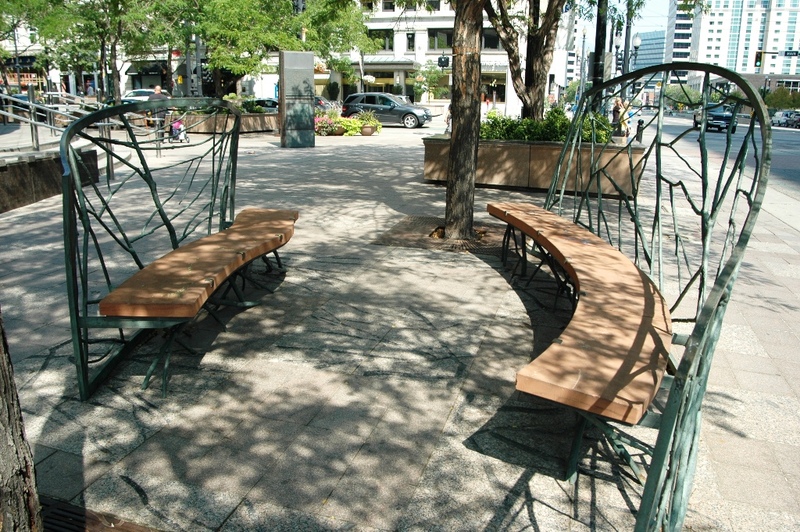 The series of benches, thirteen in all, are located within a three block area on Main Street. 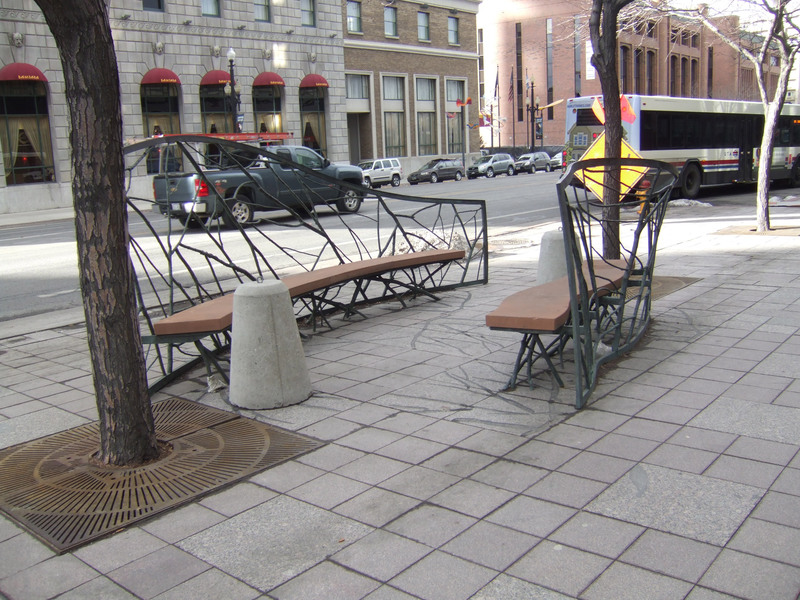 This pair of benches feature elaborately designed bronze branch backs and legs with stone seating. 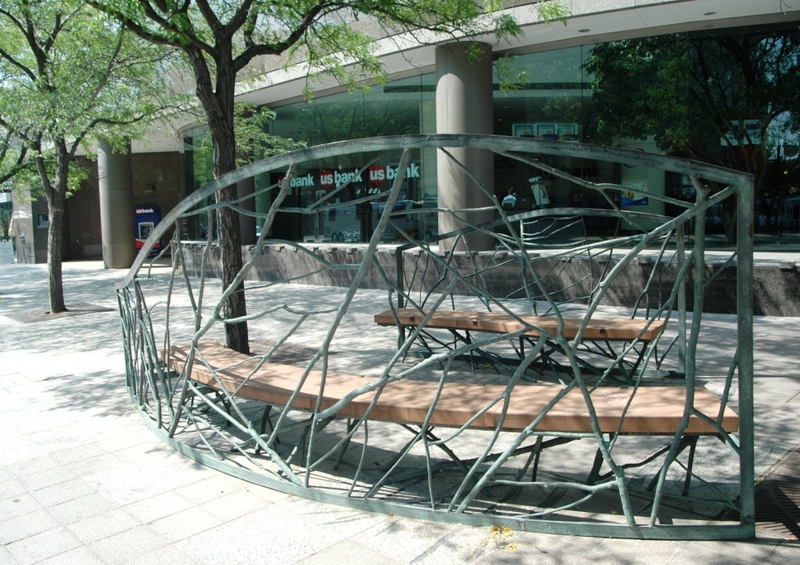 They are located on the NW corner of 200 South Main.